The Mayan Sacred Calendar or Chol Q’ij is known as “the calendar of humanity” or “the calendar of life.” It is made up of 20 energies, or essences of creation, each combined with thirteen numbers, giving a total of 260 days. These 260 days are then split into 20 thirteen-day periods, known as trecenas. Also known as the ritual calendar, the Chol Q’ij is used to enhance life by understanding the correct time to perform tasks, aligning and living life as ritual. Each event has a particular timing, and by understanding the correct time to perform these tasks, we can align ourselves with a more conducive way of living, saving us energy and creating a more harmonious and empowered outcome. 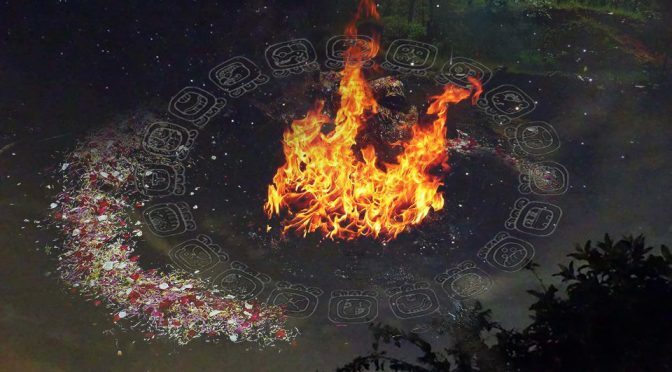 These rituals range from the earthlier, such as planting, property and legal matters, through to the divine such as healing, marriage, conception, and of course, ceremony. In this 2-hour presentation, Mark Elmy will guide you through the meanings of the 20 nawales and the way in which the energies of these 20 aspects of creation can be incorporated into everyday life. This will then extend into a journey through the next 26 days to explain the benefits, and possible challenges, of each day within the upcoming two trecenas (thirteen-day periods). There will also be an opportunity for questions at the end of the talk. The price will be Q50 per person. 80% of the proceeds of the first event will be donated to the family of Francisco Chiyal Sacach, community leader in San Marcos who passed away march 24, 2019.